We specialize in real estate services- acting on your behalf in the buying and selling of homes and income properties in the greater Los Angeles area. Being based in the Westside gives us great access to the many areas of Los Angeles. As lifelong Los Angeles residents, our deep understanding of real estate in the area, along with our combined real estate experience make us your best choice for buying or selling property in Southern California. Our goal as your realtors is to help you be an informed buyer, seller, lessor or lessee in today's real estate market. When looking to buy, sell or lease property in Los Angeles, you can count on Melinda and Scott to provide you dedicated service and real experience. We've got a proven track record. "Melinda and Scott Tamkin of Nest Realtors just helped me close an escrow on the sale of a single-familly residence in West Los Angeles. These agents demonstrated consumate professionalism and extraordinary patience in guiding me through the intricacies of the extraordinary complex process. Melinda's and Scott's persistence and wisdom helped push the entire deal through in spite of considerable obstacles presented by the purchaser. I could not have done this without their excellent help." The Tamkins focus on understanding the micro-economies of Los Angeles through the lens of residential real estate. Scott and Melinda study the market movements and growth trends of various neighborhoods in the city. The concentration of their business is both residential single family, and multi-family income property, so it is critical for them to understand the unique nature of the LA marketplace. Melinda and Scott have been in the top 10% of Realtors nationwide for the last decade and have built their practice not only with a commitment to local community, but also by working with both international and domestic buyers and sellers to orchestrate the perfect LA investment. Start your search — from anywhere. 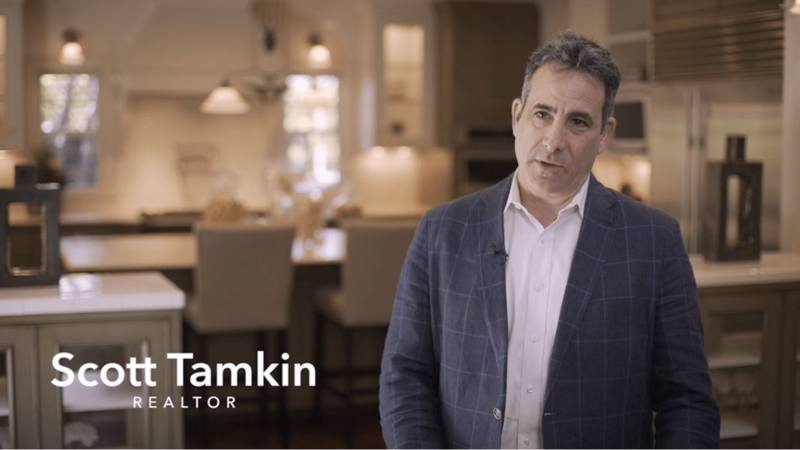 Browse thousands of real-time sales listings through our integrated app and website — filtering by the criteria that matter most to you — and connect with your Compass agent to schedule viewings and keep track of all your visits.